As a third grader, Veronica Whitley (MEd '17) didn't think of herself as "good" at school. Needing extra support in reading and writing, Whitley's teacher, Mr. Leonard, was one of her first mentors. "He showed me that school could be fun and also really believed in me," Whitley said. Thanks to Mr. Leonard's mentorship, Whitley found herself transforming from a struggling student into a confident, eager learner. After her teacher started introducing principles of science, Whitley’s curiosity was sparked. The science concepts she learned at school were supported by her parents’ love for the outdoors, which they shared with her on hikes and camping trips. 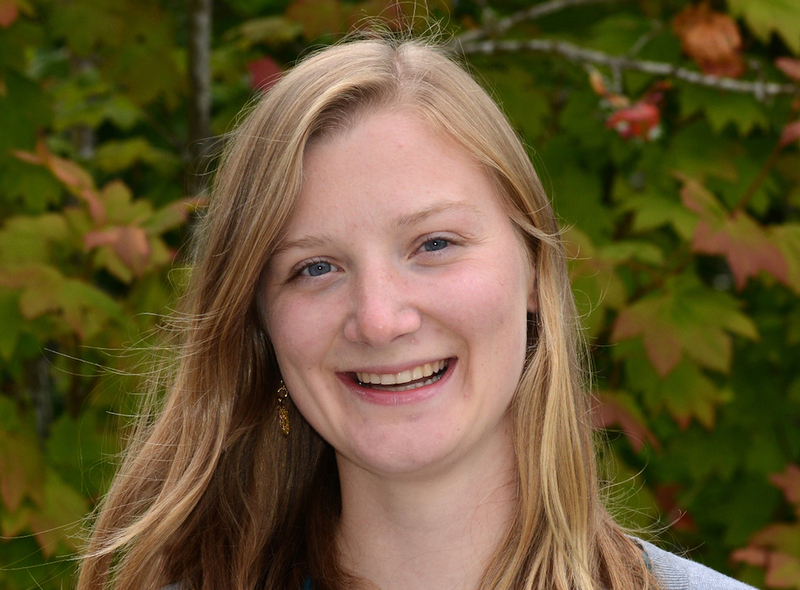 Whitley went on to earn her bachelor’s degree in environmental education before becoming an AmeriCorps volunteer at Brightwater Center, an urban environmental education and community center in Woodinville. Following her year of volunteer work, Whitley spent two years teaching for different environmental education non-profits. Through this experience, she realized that she wanted to spend more time working with her students. Whitley’s desire to foster long-term relationships and support classroom learning led her to the University of Washington College of Education, where she is currently working on her master’s degree in curriculum and instruction with a focus on science instruction. Whitley also participated in the College’s IslandWood residency on Bainbridge Island during the 2015 - 2016 school year. The intensive program presents a balance of reflection and practice, challenging graduate students as they teach outdoor education while also taking master’s courses. At IslandWood, Whitley found another mentor, Ray, who would have a profound impact on her life. Ray helped Whitley think through her decision to go into classroom instruction. Through his support and her experiences in the program, Whitley began the process of transferring her teaching skills from the outdoors to the classroom. Before coming to IslandWood, Whitley was waiting to feel that she had mastered the unknowns of teaching. Her experience at IslandWood taught her that no matter how long an instructor has been teaching, there will always be something new to learn. As Whitley has experienced first-hand the challenges of teaching, she’s grown her understanding of the importance of effective teacher support. Especially in the first five years of an educator’s career, Whitley said, strong social supports and mentoring are crucial to teacher retention. Whitley has applied for the UW Accelerated Certification for Teachers program (U-ACT), which would enable her to get a teaching certification while also working in a classroom. And in the future, she wants to provide the same kind of mentorship to both students and fellow teachers from which she benefitted. “I can see myself teaching in a classroom for the next ten years in upper elementary or early middle school,” Whitley said. “After those years, I would like to become an instructional coach to support other teachers in their practices.